These brief messages comprise a revision of two addresses, which originally appeared in the South African Pioneer. Though originally written in 1893, Jesus Himself feels like many of Andrew Murray's other works-as fresh and relevant as if it were written yesterday! This little booklet is small yet complete, and easy read that will both minister to you now, but have you looking for more for this amazing preacher! "Not only should we think about, speak about, and believe in Jesus Himself, but we should come to the point where the disciples arrived: 'and they knew Him.' Everything is to be found in that." 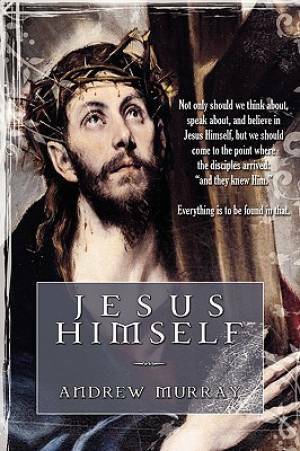 Jesus Himself by Andrew Murray was published by Lamp Post Inc. in November 2009 and is our 30139th best seller. The ISBN for Jesus Himself is 9781600391538. Be the first to review Jesus Himself! Got a question? No problem! Just click here to ask us about Jesus Himself.